SeaDream Yacht Club whose mega motor-cruisers SeaDream I and SeaDream II have just arrived in the Caribbean for a season there until April of next year, is enjoying growing interest amongst Australians adding a week aboard these super-luxury twins in the Caribbean after an American holiday, or even to round-off a USA business trip. "The Mediterranean during the northern summer is the popular destination for Australian SeaDreamers," says Sales Director Australia, Julie Denovan. "But more and more are looking to sail a week or more in the Caribbean during our annual seasons there from October to April, much of the appeal being that each of our twins carries a maximum of just 112 guests served by 95 crew. "And equally appealing is that while we begin and end our sailings at major island ports, because of our size we're able to enjoy the rest of the week at picturesque islands and coves that cruise liners can't even think about. "And at least once every sailing we hold our Signature Champagne and Caviar Splash beach party at which our guests enjoy these delicacies served by the crew from a surfboard while all are waist-deep in the sea," Ms Denovan said. "But while we have whole days to ourselves at such treasured little islands, we still have time in larger ports like St Barts that are famed for their shopping." 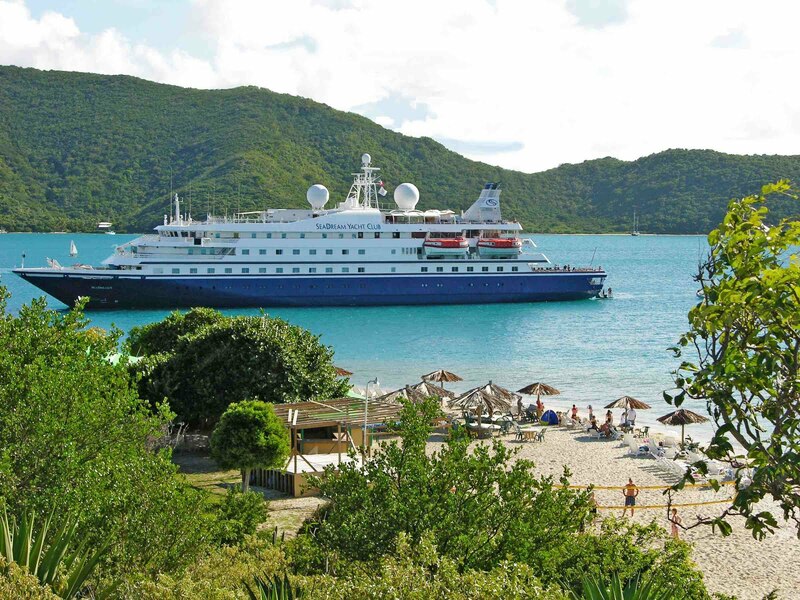 SeaDream's destinations in the Caribbean include Jost van Dyke, Virgin Gorda, Bequia, Marigot, Saba and St Barts. Seven-night sailings start from US$3191pp twin-share including SeaDream's award-winning cuisine, wines and bar drinks, power and sail water-sports, use of the golf simulator and fitness centre, port charges and taxes, and even crew gratuities.